Hey Buddies ! 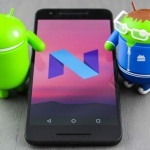 After waiting a While, Android M for Android One Devices is Rolled Out. Surprisingly, Android One Devices Got Android Marshmallow Updated Suddenly. One of my Friend, Harshit Captured OTA link of Android Marshmallow & He provided Me Zip File for flash. 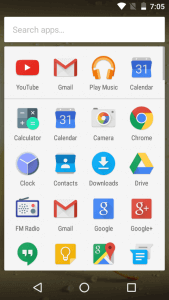 So you can also enjoy Android M in your Android One Devices. 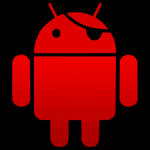 also i have posted a method to root any android device without pc. 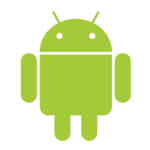 Android One Devices are most budget devices, which are powered by Google. 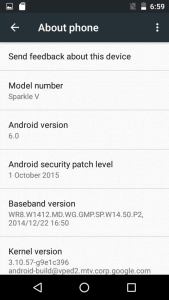 Surprisingly, Android One Devices Got Update too soon, before the expecting date. 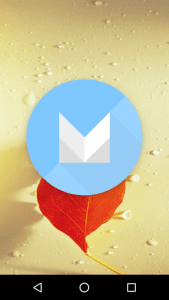 So Let's Start The Full Introduction About How to Install & Use Android M in All Android One Devices. 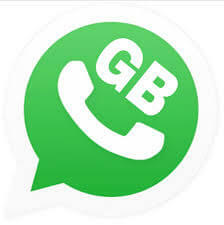 Also checkout run 2 whatsapp on android. 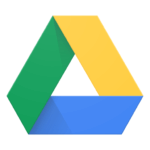 This Update Has been Arrived on 6 October 2015. & We have shared this update with Android One Users. 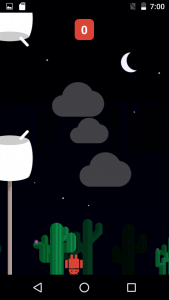 Don't Miss out This Update, Android M Comes with Some Cool features. I Know, you will surely Like these features. 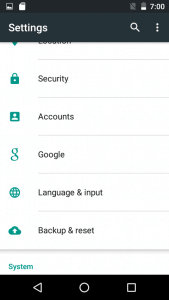 Android One Devices are based on MTK Chipset, also have a look at how to install & use Xprivacy app. Which i personally Like the Most because it won't hard brick even if you flash wrong ROMs. Android One Devices are available on Pakistan, India, Bangladesh, Nepal, Indonesia, the Philippines, Sri Lanka and other South Asian countries. With Android One we set the bar to be a great software experience and a great device. We really want to bring in a whole new set of people who have never tried a smartphone before. 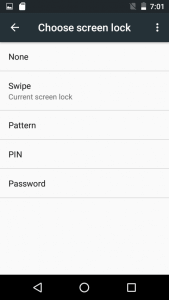 You may also like – How to Change Android ID. 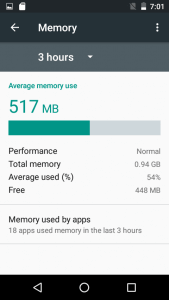 Checkout – Cool Android Tips & Tricks. So here we go !! At First, Download Android Marshmallow Update File According to your Device from here above give link. don't download different Files, it may cause trouble for you. & also don't try above files in your Android Phones it may harm your Phone at high level. After That, Put Zip File in your Sd Card in any Folder, According to your Choice. Put Zip file in Root of Sd card is recommended. & Turn Off your Mobile Phone from power menu normally. After Your Device Fully Turn off, Wait For Minimum 30 Seconds & Turn it on By Press & Hold Volume Up + Power Button, it will take some seconds, Hold it until you Get a Screen, Which have a List of Menu. Now, There you will see options to reboot into Recovery / Fastboot modes etc. & much more options. Don't Be panic or Confuse. You have to Select Recovery mode from here. Just Navigate to recovery mode with Volume Up button & press Volume Down Button for Select Recovery Option. Also Checkout – Remove System apps via lucky Patcher app. 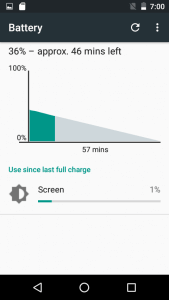 Select Recovery Mode From there, you will see Android Picture There. Just Hold Power Button & Press Volume Up Button & Leave both buttons now. It will open a New Menu, From there Select Install Update from Sd Card option. & Select Downloaded Zip File, which you was downloaded from above steps. & it will start Flashing Process. It will Take some time, be patience, Don't be too Hurry & Don't Be Panic. It may take 5-10 minuted or more than 10 minutes in some cases. After It Show Success Message, Boom !! You are Done. 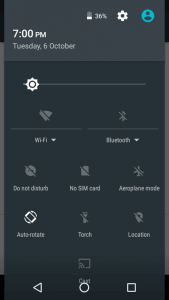 Now Reboot your Phone & you are Running Android M In your Android One Smartphone. Note – First Boot May Take More Than 10 Minutes. 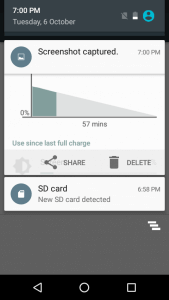 Checkout – Customize Android Phone by Gravity Box. Check for Update Again & Again By Repeating 3-4 Steps. You will Get The Update, & Update it, Else Use First Method. 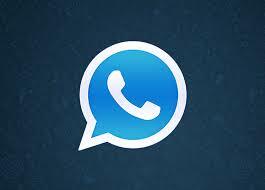 Also Checkout – How to Schedule Whatsapp Messages. Android One Devices are Most Budget Smartphones, With Unbelievable Price Under 100$. Nowdays, Smartphones are much more trending. 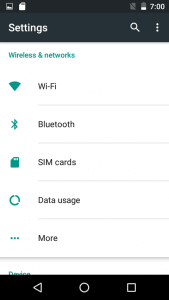 Google Have Launched Android One Smartphones for Peoples, Who love Latest Updates, Because Android One Phones Comes with Latest Update Guaranteed, So You must checkout above Full Method & Install Android m on android one Devices. 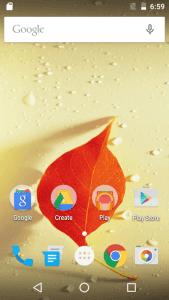 Also checkout Top Apps for Rooted Android Phones. We are Not Responsible for Any Damage of your Device While Following this Guide. I Hope You have Liked This Article. 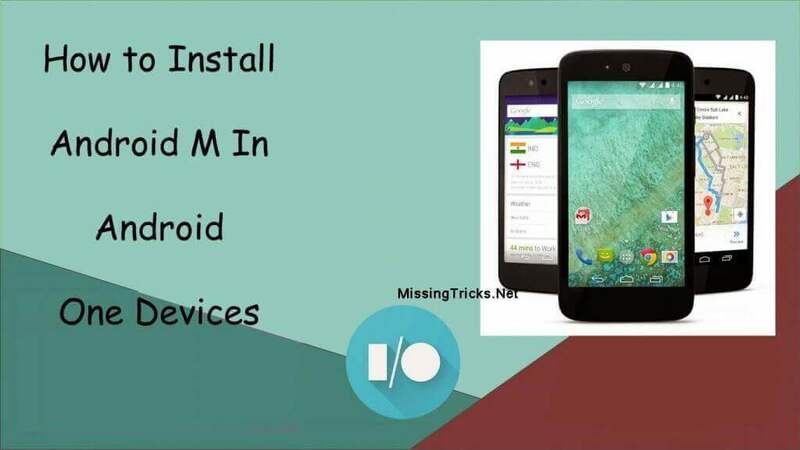 You may Follow All Step By Step Procedure & you will surely Get Success for Installing Android M in your Android One Phones. If you have any confusion Regarding This Post, Then Feel Free to Comment Below. I will surely try to Help you out. I have Micromax Android one but rooted so is there any remedy???? How to update in marshmallow.?????? 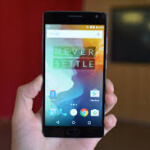 Can micromax one Rom be used for unite 2 same spaces device? Hey can u tell me how to root spice dream uno Marshmallow without pc ? 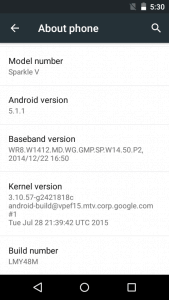 Can the stock/custom firmware from your link be flashed in Lava Pixel v1 without unlocking the bootloader?? 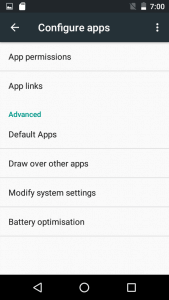 Lava Pixel v1 has two pre-installed apks (Flipkart & Myntra) which can not be uninstalled even after normal system uninstaller (root) apps without unlocking the bootloader. I don’t know how to unlock Lava Pixel v1’s locked bootloader. Will unlocking the bootloader need some special code or password ?? One last thing, it is absolutely esaential to flash IMEI number flashing in Lava Pixel v1 after the said stock firmware flashing??? you can’t flash micromax or karbonn marshmallow rom on lava dude.. I am not speaking about Karbon or Micromax Marshmallow. Does Fastboot oem unlock command do it or any other special password is there for the same??? Can the basic stock firmware be flashed without unlicking the bootloader?? But my mobile is stuck with 16.1mb updation. While installing the 16.1 mb file it SHO dead error android finger and it instantly showing the updation 16.1 and block by getting android 6.pls fix by give me a link to dounloard zip 6 file. 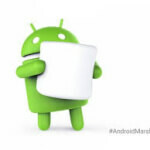 PLEASE UPLOAD MARSHMALLOW OFFICIAL FIRMWARE FILE FOR LAVA PIXEL V1 AS SOON AS POSSIBLE AS PROMISED. Hi i tried first method of updating OS to Marshmallow- Followed the exact procedure- I am getting an error ! “No Command”! Any cause ? How can i do that..? My phone is currently in 5.1.1. version – i m nt sure what bootloader mode is.. plz help..
you have to flash stock firmware in your device now..
but my marshmallow never started again.The phone didn’t boot up and it was stuck in the manufacturers logo. Please help me. 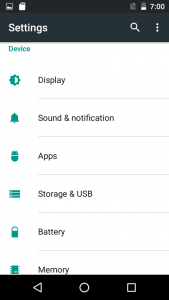 how to flash stock firmware in android 1 canvas a1… please help me sir.